Presidency University Admission 2019 - West Bengal Joint Entrance Examinations Board had released the Presidency University 2019 application form for PUMDET on February 19, 2019. Earlier the PUBDET application form was released on February 12, 2019. The university has closed the process of filling the PUBDET and PUMDET application forms on March 12, 2019. The candidates can edit their application form if it has any error/discrepancy. Presidency University has made the correction window available online for the candidates on March 13, 2019. Presidency University had earlier released the Presidency University 2019 admission notification for the Undergraduate and Postgraduate programmes. Presidency University admission 2019 will be conducted through a common entrance exam on June 15 and 16, 2019 for the undergraduate programme (PUBDET) while the entrance exam for the Postgraduate programme (PUMDET) will be held on June 15, 2019. To apply for the UG and PG courses of Presidency University candidates must fill and submit the application form online. The last date for submission of both the applications is March 12, 2019. Candidates must note that the application form must be submitted in the online mode only. The entrance test for Presidency University admission 2019 will be conducted in the offline mode for a duration of 90 minutes. Candidates have to mark the correct option on the given OMR sheet. 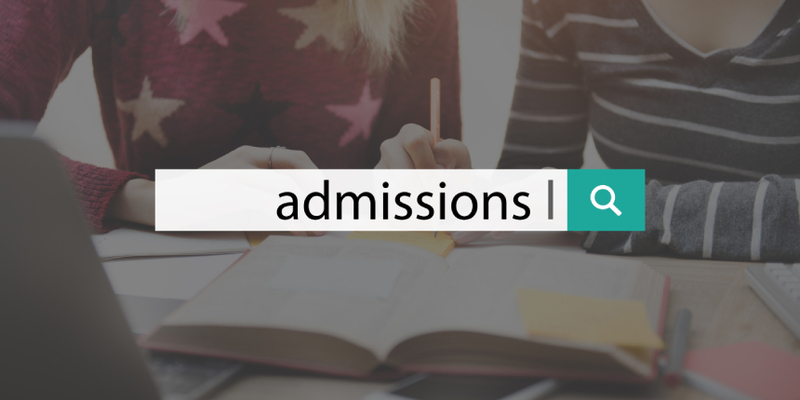 Read more to check the complete admission process of Presidency University. The presidency university admission notification states the dates for the different events related to PUBDET and PUMDET. Candidates can check here the dates of the application form, admit card examination and result. Candidates must have completed their class 12 board exams with minimum marks as required to apply for the undergraduate programmes. Candidates who will be appearing for their final semester bachelor’s examination can also apply for the entrance exam. There is no upper or lower age limit. Given below is the minimum marks to be secured by candidates with respect to the course of their choice. Given below is the minimum marks to be secured by candidates along with their Honours or Major subject with respect to the course of their choice. ‘a’: 37.5%/4.125 or the qualifying percentage/CGPA of the respective University, whichever is higher. ‘b’: 41.25%/4.50 or the qualifying percentage/CGPA of the respective University, whichever is higher. ‘c’: 45%/4.95 or the qualifying percentage/CGPA of the respective University, whichever is higher. ‘d’: 49.5%/5.40 or the qualifying percentage/CGPA of the respective University, whichever is higher. ‘e’: 47.5%/5.225 or the qualifying percentage/CGPA of the respective University, whichever is higher. ‘f’: 52.25%/5.70 or the qualifying percentage/CGPA of the respective University, whichever is higher. According to the Presidency university admission 2019 notification, the application form for UG programmes is available online on February 12 and the PG application form is available from February 19, 2019, respectively. Candidates must note that the applications are available on the university portal only. An application number will be generated and SMS/email will be sent to the candidate on the registered email ID and mobile number. Logout or continue to next step. Here candidates are required to upload scanned images of a recent colour photograph and signature. The Examination Fees can be paid online by ‘Net Banking’/ ‘Debit Card’/ ‘Credit Card’. The amount of fees to be paid for appearing in the entrance test is ₹500 (Rupees five hundred only) along with the Bank’s Service Charges as applicable. After successfully completing all the above steps, the candidate will be automatically directed to the option for downloading the ‘Confirmation Page’ which means that the application is complete. Candidates must note that the application process will not be considered complete until the confirmation page is generated. The confirmation page contains information as given by the candidate in the application form. Candidates must take a print out of this confirmation page for further use. The admit card of Presidency University admission test will be released online for the undergraduate and postgraduate programmes separately. The admit card for PUBDET 2019 will be released on June 4, 2019. 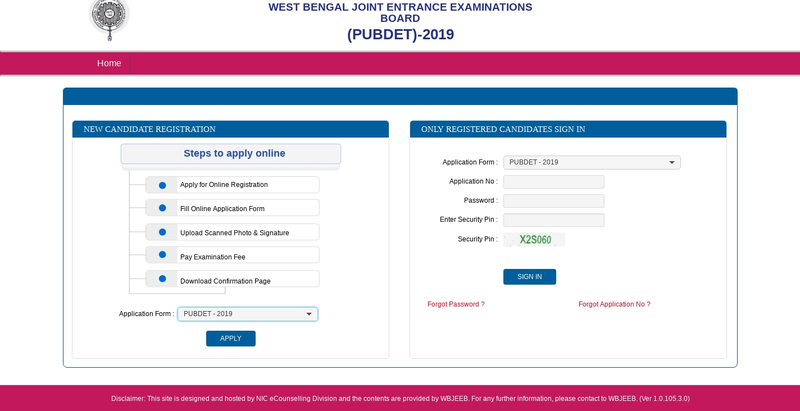 The PUMDET 2019 admit card will be released online on June 6, 2019. Candidates can generate a duplicate admit card only until the date of examination. Hence, candidates are advised to retain their admit cards carefully in a secured place to avoid any damage to the document. A copy of coloured photograph uploaded during online application. Candidates can choose upto two examination centres while filling the application form. Candidates must make sure to choose the exam centres depending on their convenience. The list of exam centres are given below. The question papers for the subjects English, Bengali and Hindi will be in respective languages. All other papers will be in English and Bengali languages. Candidates have to answer 50 Multiple Choice Questions (MCQ) type, with four options against each of the questions in each paper for 100 marks. Each correct answer will be given 2 (two) marks while every incorrect answer will be given a negative marking of 1/2 marks. For any combination of response with more than one option, the said answer will be considered incorrect and will be given negative marking of 1/2 marks. In case of a tie, the candidate obtaining less negative score will be ranked higher. If the tie still exists all the candidates with a common score will be awarded the same rank and will be considered for counselling and admission with bunching effect. The final result of the common entrance exam will be published in the form of rank cards. The rank cards will contain the rank secured along with the scores. The rank card will be available in the online mode only. Candidates will be able to view and download their rank card by logging in with their application number and password. Candidates must note that a duplicate rank card cannot be generated at any later stage after completion of e-counselling and admission conducted by the board. Hence it is advised that candidates retain their rank card for future purpose. Ranks card with scores will be issued to all candidates, who appeared in the examination but all may not be awarded rank and hence may not be eligible for counselling. For the counselling process, a cut off rank and/or a cutoff score will be released by the conducting body. Ranking of the said merit list shall be done in the descending order of marks scored in the entrance test. Separate reserved category ranks e.g. SC-Rank, ST-Rank, OBC-A-Rank, OBC-B-Rank, PwD-Rank also will be published for the respective category of students. Only ‘GMR’ shall be applicable for sequencing the counselling and seat allotment. Category ranks will be prepared only for sequencing the deserving candidates within the respective category. The counselling and provisional admission process will be conducted only for the OPEN quota (NON-PU quota) seats. A separate notification with details of counselling/ seat allotment/ provisional admission will be published shortly after the results are declared. Credentials of candidates eligible for counselling and admission will be verified at the counselling centre on the given dates which will be notified along with the counselling details. Since counselling and admission process will be conducted according to the ranks secured by the candidates the candidates will have to appear for counselling on the given date and time only. No other person will be allowed to appear for counselling and admission on behalf of the candidate. Your Presidency University, Kolkata brochure has been successfully mailed to your registered email id .